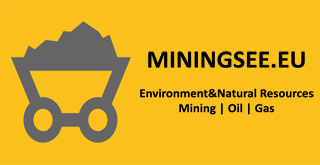 The subject of exploitation that has been granted conduction of mining activities pays a fee for utilization of mineral raw materials and geothermal resources in accordance with the Law on Mining and geological research. For all types of coal and oil shale the fee amounts to 3 percent of revenue. For oil and gas, it is 7 percent of revenue (NIS does not pay 7, but 3 percent of income fee, based on the Energy Agreement between Russia and Serbia). For all metallic raw materials, the fee is 5 percent of the smelter’s net revenues, for non-metallic raw materials 5 percent of revenue. For techno genic raw materials created as a result of exploitation and processing of mineral raw materials, 1 percent of revenue is paid. A highly anticipated new Law on geological exploration and mining has not yet been adopted. During the previous year, members of the working group for Law’s drafting pointed out that the determination the level of mineral rents was one of the most problematic points of the primary draft bill. Namely, the remarks of investors referred to the anticipated fee increase, as well as the fact that it was not specified how the fees are determined.